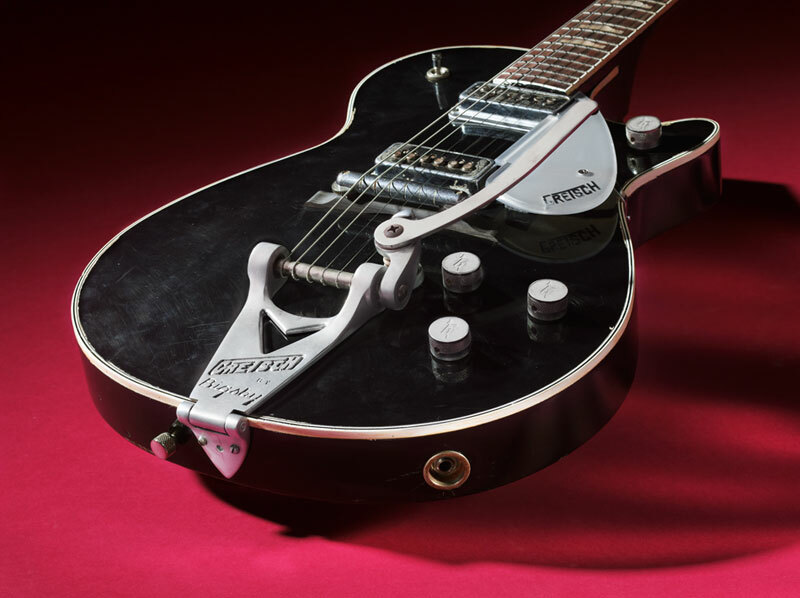 Just after Christmas I posted that the Gretsch guitar company was flagging they’d soon be releasing a very special, exact recreation of the guitar George Harrison owned back in the early Liverpool Cavern days of the Beatles – the Ole Black Gretsch. 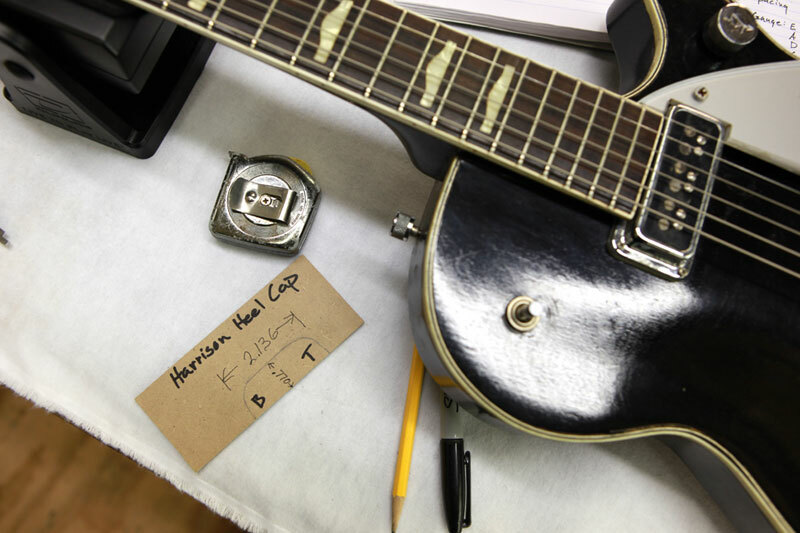 Gretsch guitars in the United States has measured every dimension, every detail right down to the scratches and dings and even the rust on the metal of the pick-ups so that each of the limited edition of just sixty guitars is accurate in every respect. This entry was posted in Beatles, Beatles Related, George Harrison and tagged Beatles, Beatles Collecting, Beatles Related, George Harrison, George Harrison Gretsch, George Harrison Guitars by beatlesblogger. Bookmark the permalink. I can’t play the guitar, but George Harrison threatened to sue me once. It’s my claim to Beatle fame.